At first glance, The Greenhouse seems a pretty straight play for a Michelin Star. Eamon O’Reilly, the man behind One Pico, has teamed up with Mickael Viljanen, the chef who turned Gregan’s Castle into a destination dining Mecca in the Burren, to produce a luxe restaurant whose showcase is a seven-course tasting menu costing €78. It begs so many questions. Has Viljanen, to my mind one of the top chefs in the country, judged his move correctly? Does Dublin really need another restaurant asking a couple to drop the bones of €200 on a meal out during a recession, not counting the babysitting bill? L and I went along a week after The Greenhouse opened, taking a table in the space formerly occupied by another O’Reilly restaurant, Bleu. The menu is a single page in bronze card, with evening diners choosing between the seven-course special, a set menu offering two courses for €45 or three for €56, and our choice, a five-course “surprise” tasting menu at €68. Heady rates, to be sure, but once the canapés arrive, it’s clear that most of the price will appear on the plate. 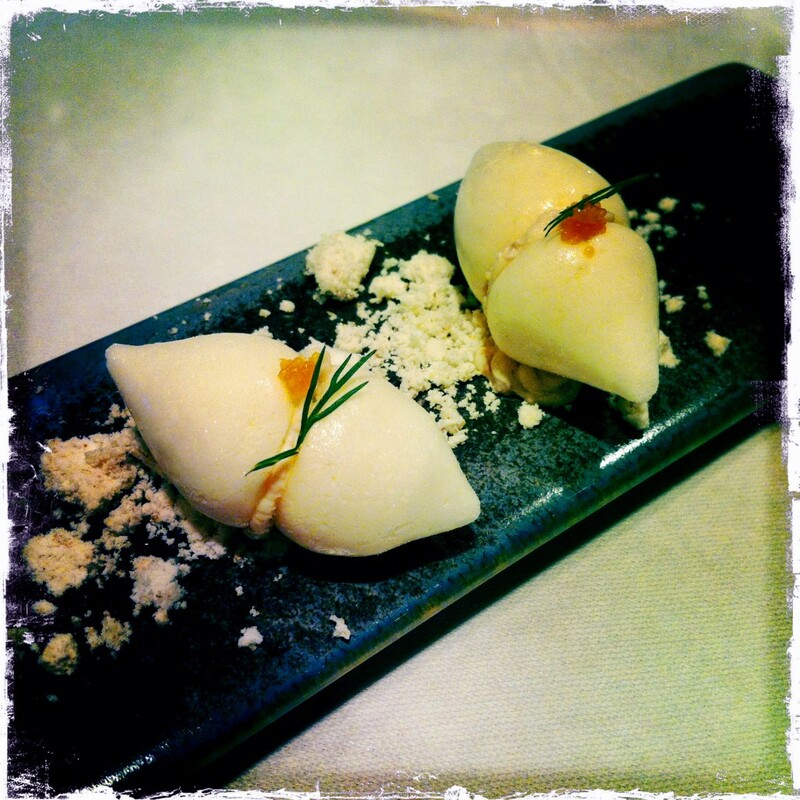 Two tiny meringues sit on a slate, garnished with green apple, herring roe and dehydrated bacon fat (below). It’s a miniscule portion you can pick up with two fingers, but implodes in a powder-puff in the mouth. Serious complexity in the briefest of bites. Next up is an amuse bouche – parmesan custard with diced pear and mushroom sabayon, served in a hollow eggshell. Breads include a miniature loaf of Finnish rye, with onion foccacia and two tight buns of sour dough delivered in a little cloth sack. Then come two glistening curls of cod skin with sardine chantilly, served on a stone that could have been plucked off Killiney beach (below). Phew. All of this before the first of our five ‘proper’ courses. I resist the offer of matching wines (€35) for each of those, but the sommelier recommends a Domaines Schlumberger Pinot Gris to start, and a soft Barbera d’Alba to take me from there. Both work well. Then comes the main event – five dishes served like a mini-symphony. 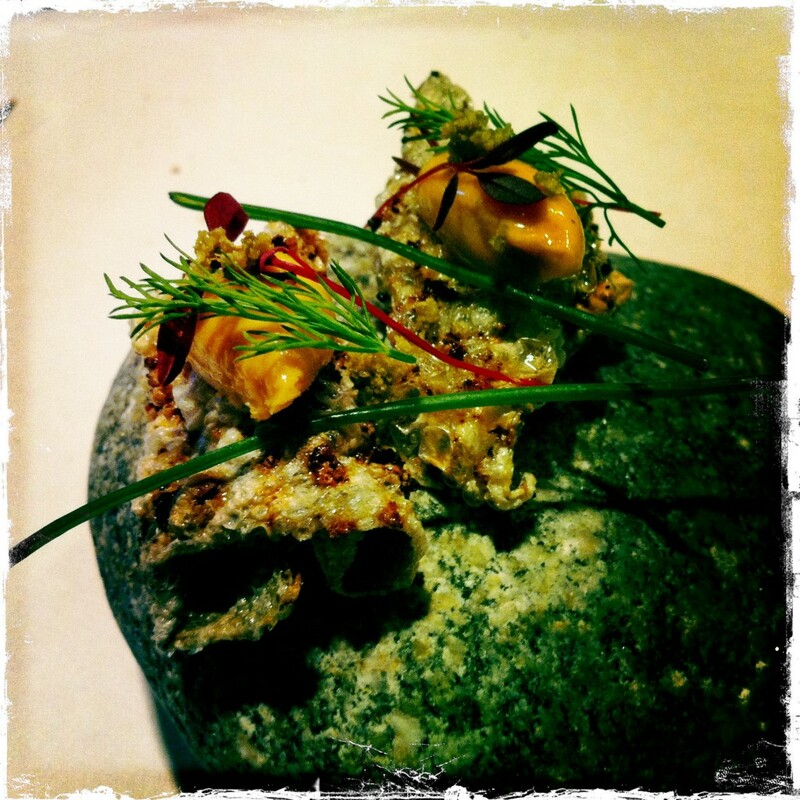 First up is foie gras with frozen apple, walnut and wildflowers (main image). Then celeriac baked in rye, served with duck hearts, truffle, hazelnut and sorrel. Next is a bowl of monkfish cheeks, with chicken wing, tortellini and brown shrimp. Then a shoulder of veal, cooked for 36 hours, with sweetbread, liquorice, carrots, aubergine and olives (below). Once you hear Viljanen talk, his Finish accent bashed about by waves of Irish intonation and slang, or experience his energy and ebullience, you see the same qualities in his dishes. They’re creative, ambitious, infused with Irish and Scandinavian elements. Some, we find too rich. But all are well-balanced, and the presentations are downright beautiful. The foie gras and veal, particularly, are almost painterly on the plate – spilling over with ideas, artistry and joy. A problem with The Greenhouse, however, is that the room doesn’t really sync with the food. It’s a small space with no bar, luxuriating in blue velvet banquettes, sultry voiles and gilded frames. Earthy touches like the stone, bread sack and foraged flowers are welcome, but ultimately I think a white, minimalist space would better complement the dishes, and remove the whiff of corporate luxury from the establishment – a vibe I don’t think Viljanen is about. Of course, these are early days. A restaurant needs time to settle in. I should also mention that, despite calling in advance to say L was coeliac, there was no gluten-free bread, and her monkfish cheeks arrived with a tortellini containing gluten. That’s bad, in a place of this calibre. The recovery, however, was brilliant. The restaurant manager, clearly mortified, immediately replaced the dish with a new one. 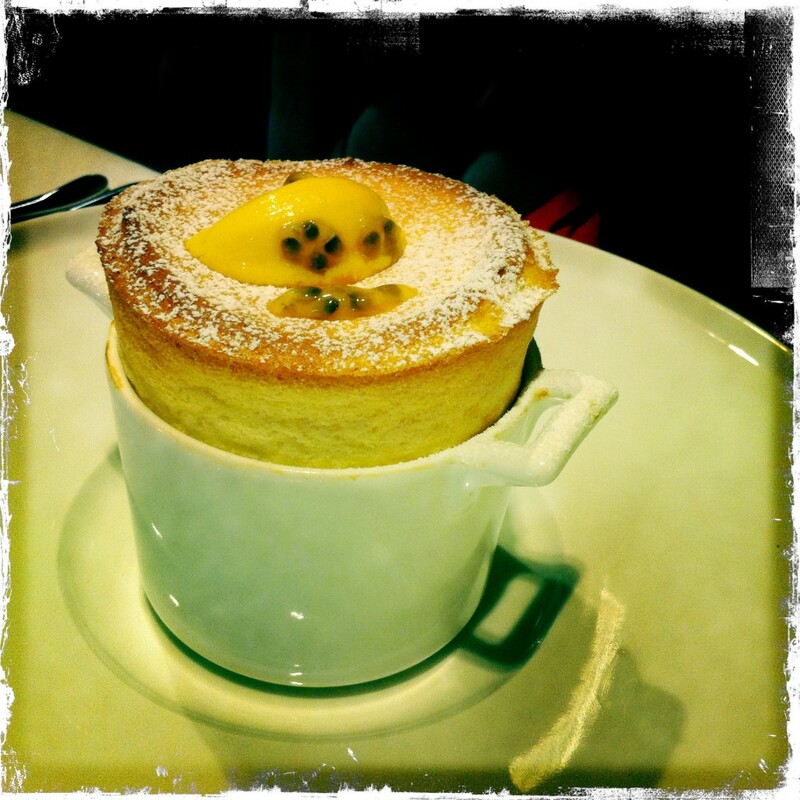 The chef sent out an extra dessert, a passion fruit soufflé that rose from its ramekin like a flower (below). It was airy, sweet and delicious, leaving L in raptures. To some, of course, all of this will seem fussy, affected, obscene. There are more powders, reductions, foams, jellies and flowers in our five courses than you’d find in a wild garden or a chemist’s laboratory. But cooking only feels pretentious if you don’t get it right. Viljanen gets it right. This is a chef evolving before our eyes, finding his groove, his connections. When it all clicks, fireworks will go off. He’s right to shoot for the stars. Dinner for two, with three glasses of wine, came to €184.45. Tip extra. 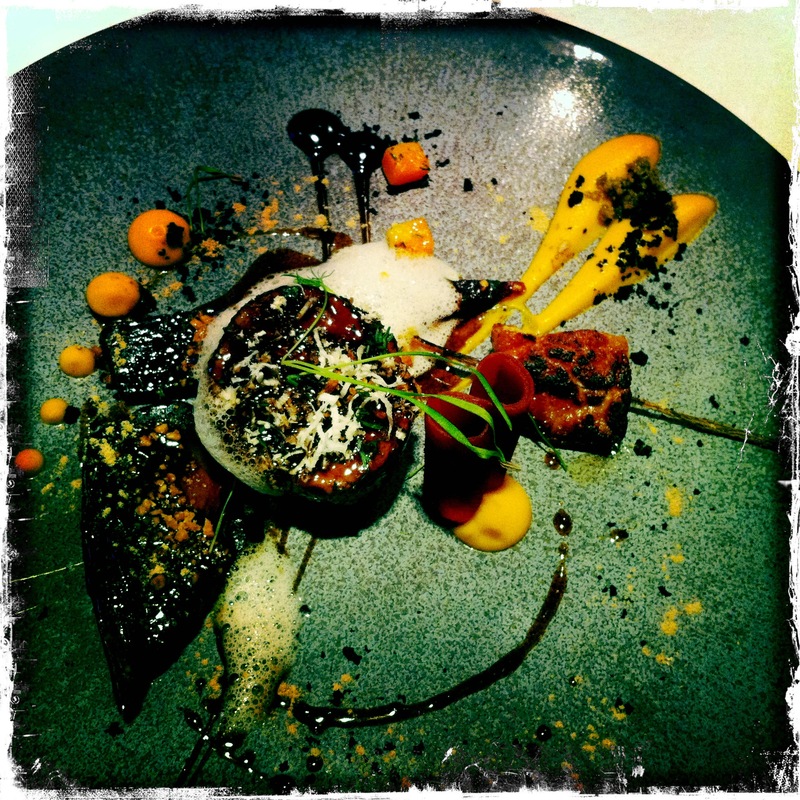 This Greenhouse restaurant review originally appeared in The Irish Examiner.